What is a short sale? Been hearing this term a lot lately on the news or around your Tampa Bay, FL neighborhood? There certainly seem to be a lot of Tampa short sales in and around Tampa right now. A short sale basically is when a bank or lender lets the homeowner of a property sell their home to a new buyer for less than what is currently owed on the mortgage(s). The homeowner normally must have some kind of hardship or good reason for the bank to let them short sale the home. In the past, most lenders would not even consider a short sale unless you were 3 months or more past due on the mortgage and the foreclosure process was being started. Now it seems that some banks are letting sellers start the short sale process before destroying their credit by going late on their mortgage payments. The short sale process can take anywhere from 3-9 months to happen and this process is not easy... a Tampa short sale expert is highly recommended and usually needed to complete this process. It is very common to hear right now of Tampa Bay homeowners or sellers behind in their mortgage payments, upside down in equity, needing to move but feeling stuck and helpless. They possibly have put the house on the market for sale or even tried to sell by owner with no results. They could be anywhere from a $10,000 to hundreds of thousands upside down and feel like just walking away from the property or just giving it back to the bank. DON"T DO THIS!!! There is a way out. A foreclosure will stay on your credit for 10 years and it will be 5 years before a bank will lend you money again. With a short sale, you could possibly purchase another home in 2 years and have your credit score go down by little as 50 points! A deed-in-lieu of foreclosure is almost as bad as a foreclosure and will destroy your credit as well. 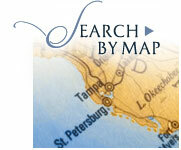 The short sale of your Tampa home is definitely the way to go if you can do it. You really need a Tampa short sale expert to sell your home. Michael Valdes & Associates have been certified in distressed properties by the Loss Mitigation Institute, LLC. There are ways to get the short sale process completed and get your home sold, however, this is a not an easy or short process. An expert Tampa REALTOR® who knows what they are doing and who is familiar with how to short sale your home and keep it from going into foreclosure is a must.. get the wrong person and you could lose your home to foreclosure. 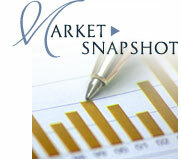 The close ratio of short sales listed with a normal REALTOR® is about 10-15%... not very good. With our team, it is over 90% because of the system we have in place. We use not just one person but an entire team to help you complete the short sale process. Michael Valdes & Associates are expert Tampa short sale REALTORs® and work together with trained bank negotiators and loss mitigation experts who have done this process many times with success. By working together as a team, we get the deal done right! Contact us today to see how to short sale your home to save it from foreclosure and also help save your credit!